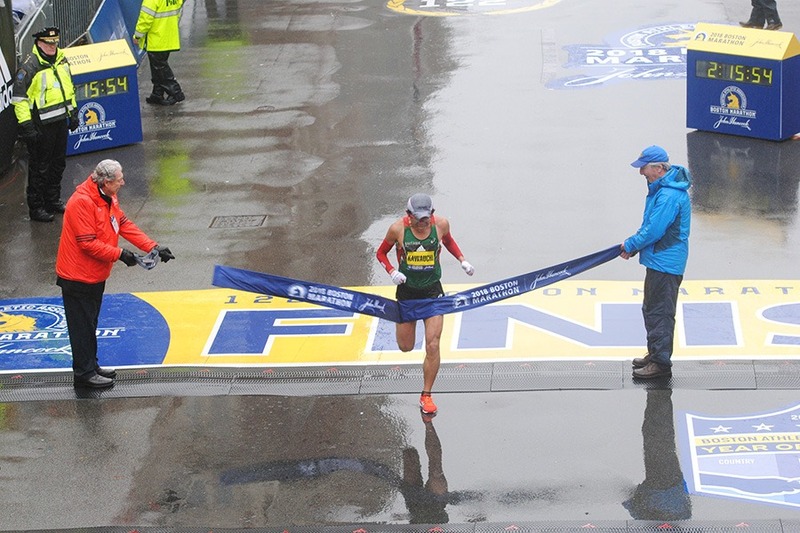 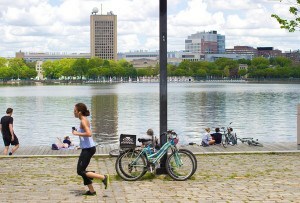 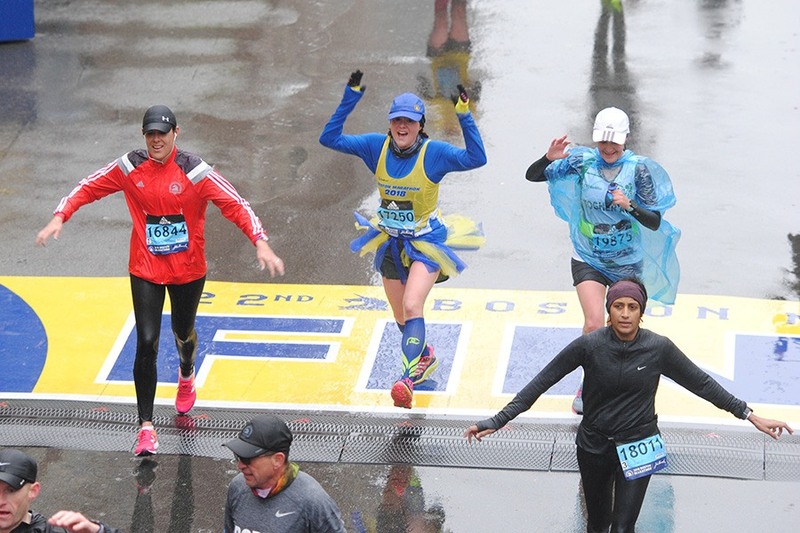 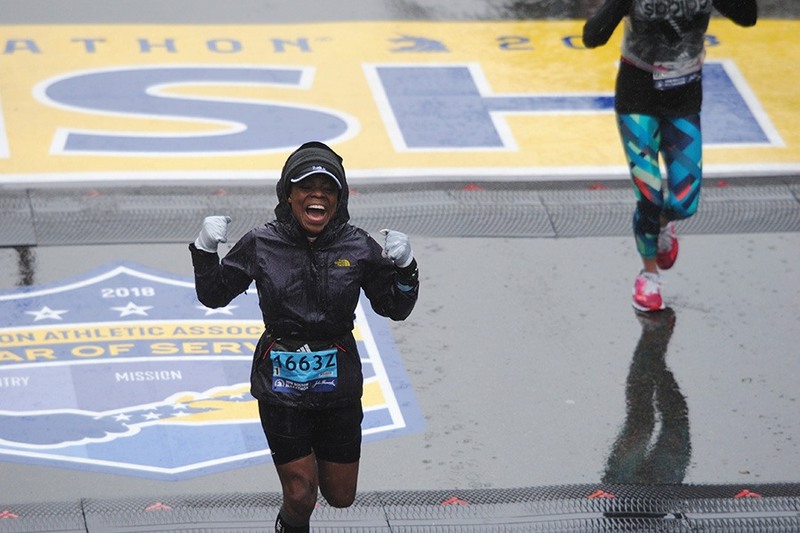 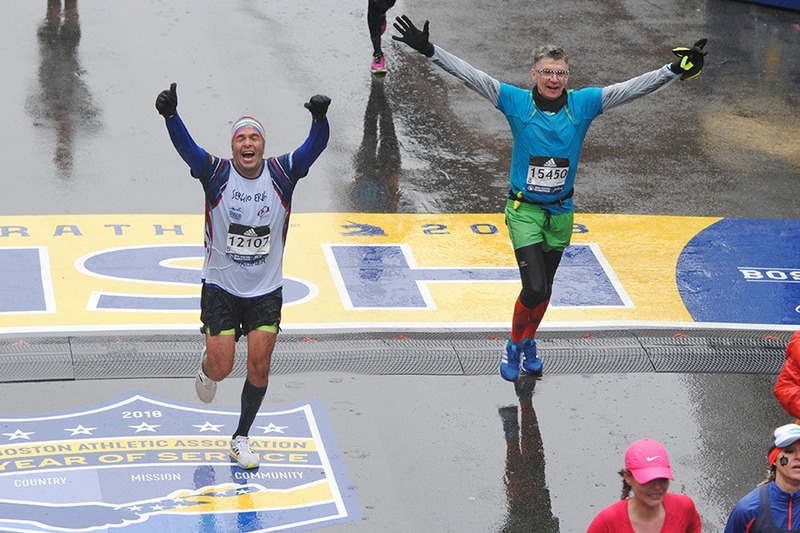 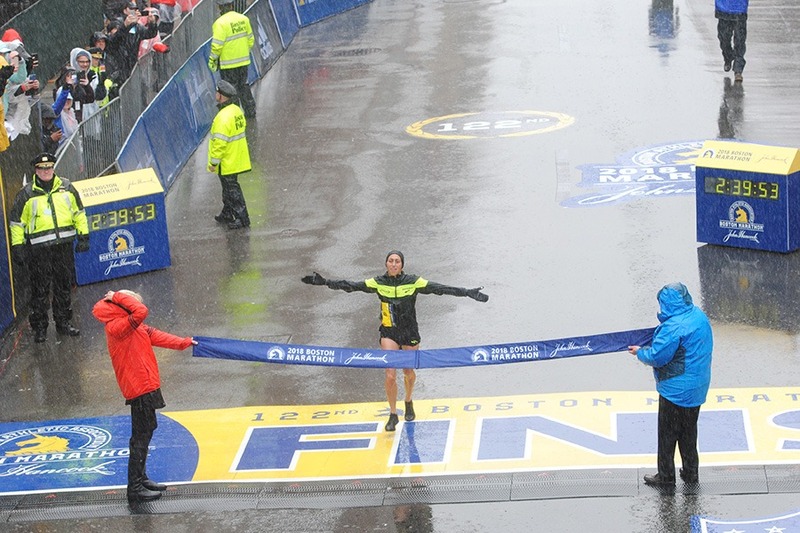 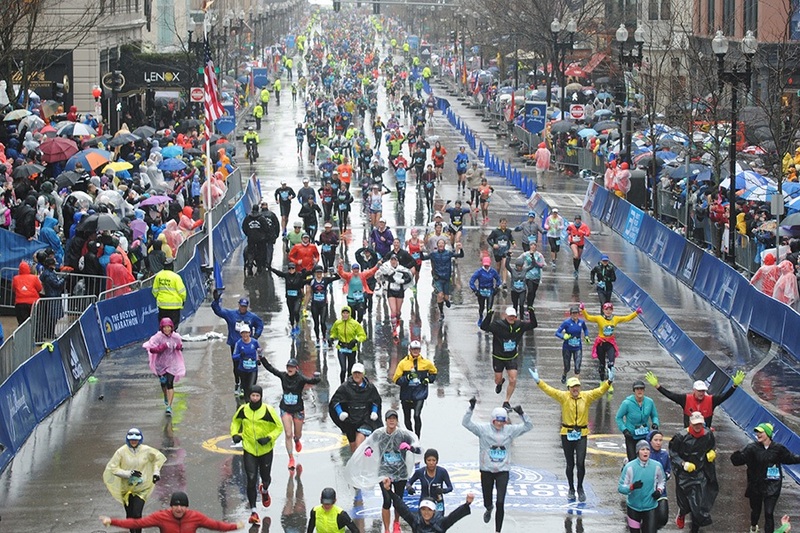 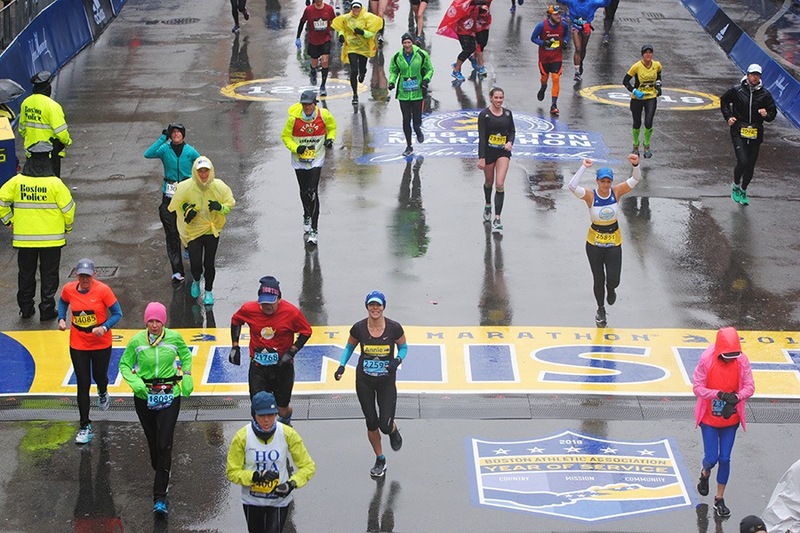 Check out the thousands of runners (and raindrops) who flooded Boylston Street. 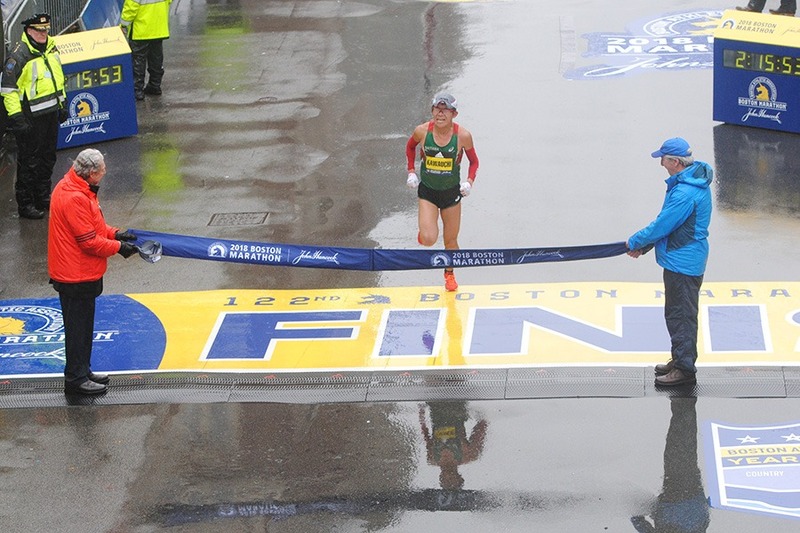 By Madeline Bilis·	 4/16/2018, 6:15 p.m. 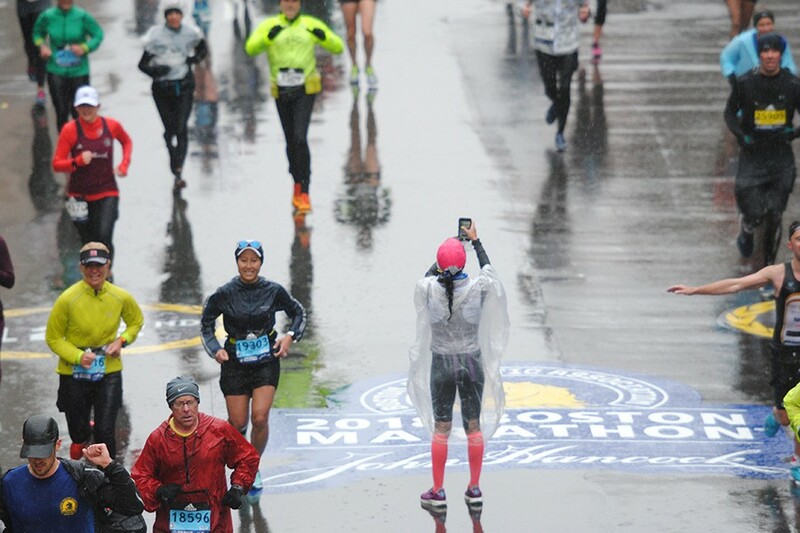 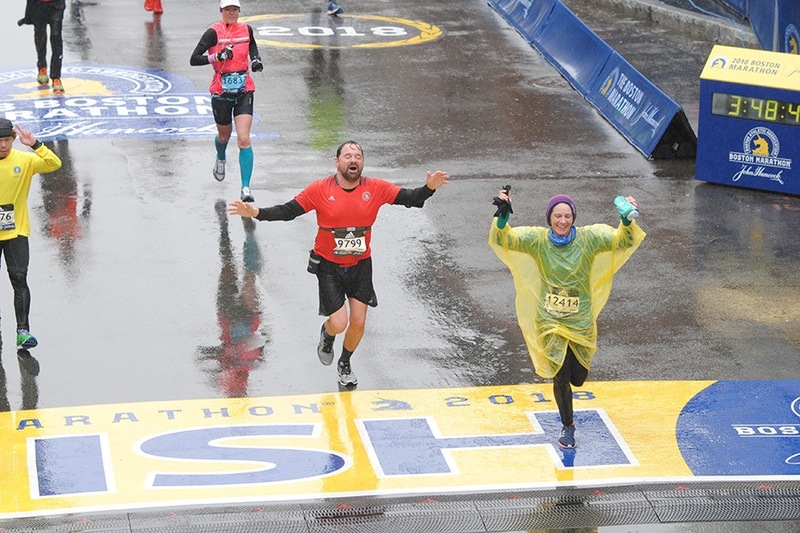 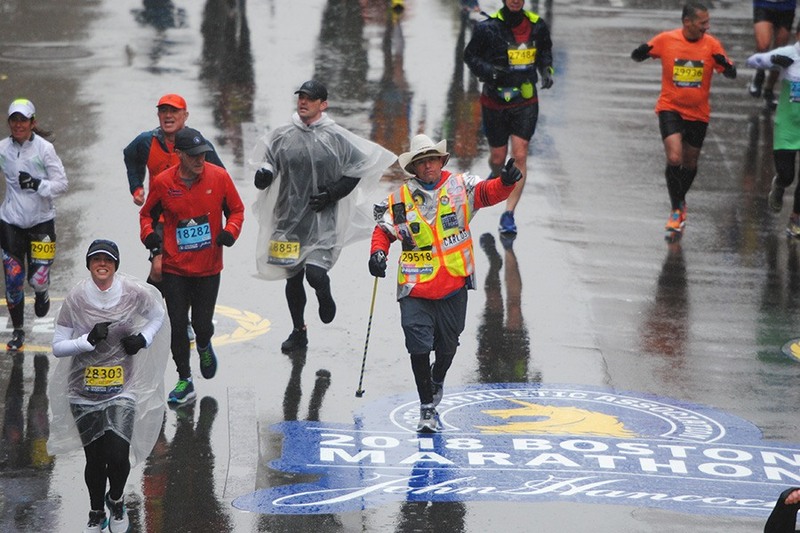 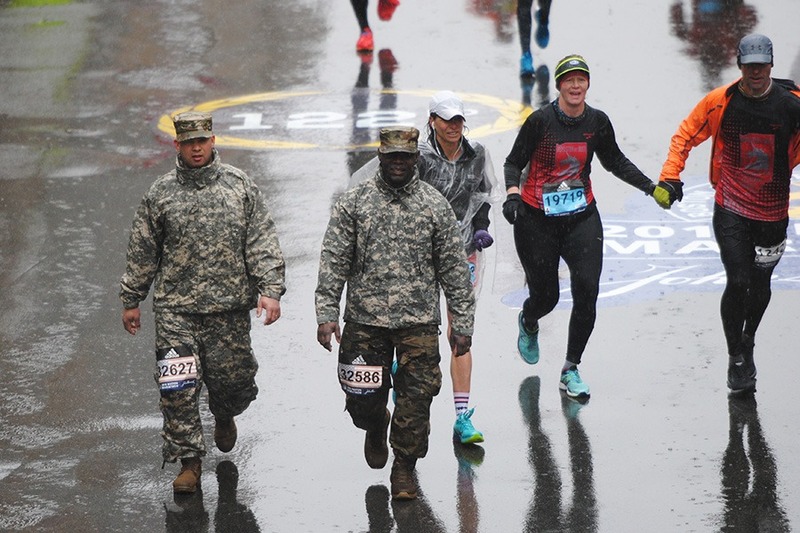 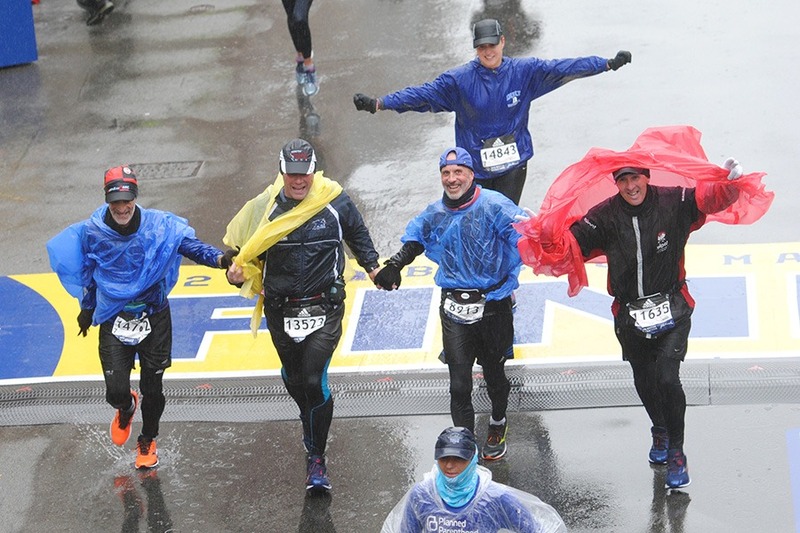 Chilly temperatures and a constant downpour did little to weaken morale at the marathon this year, with rain-soaked runners skipping, hopping, and jumping over the finish line. 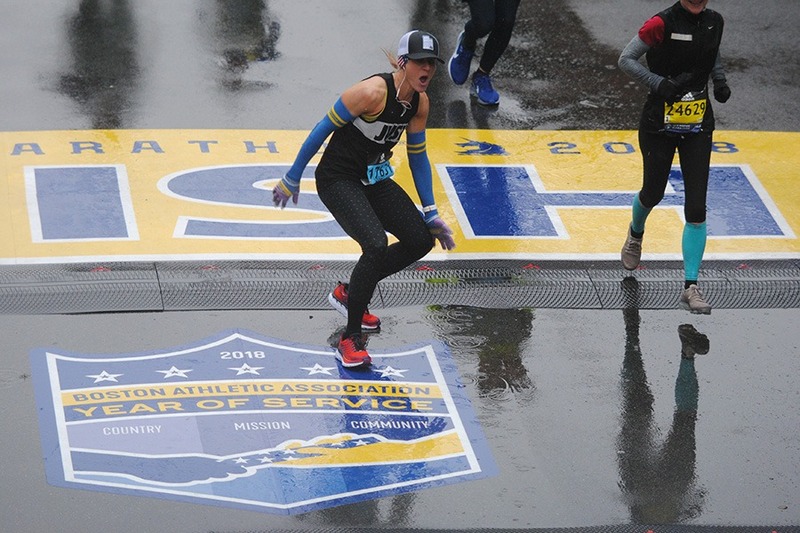 They did finish significantly slower than in previous years, however. 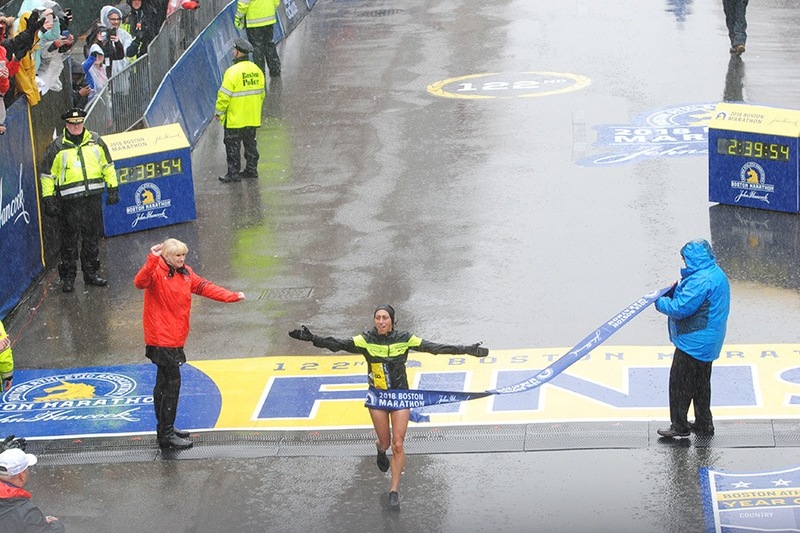 Desiree Linden, who became the first American woman to win the marathon in 33 years, clocked in with a winning time that ranks as the slowest for women in 40 years. 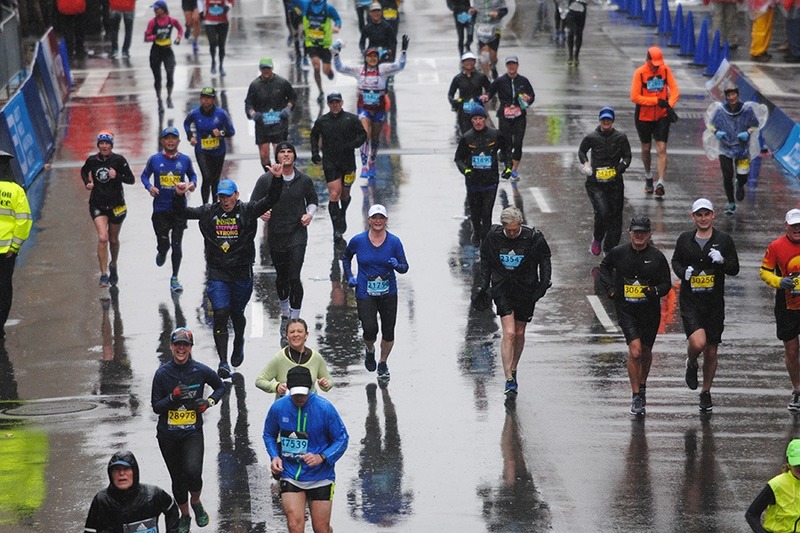 An hours-long flood of runners followed, making their way down Boylston Street as raindrops pelted their plastic ponchos. 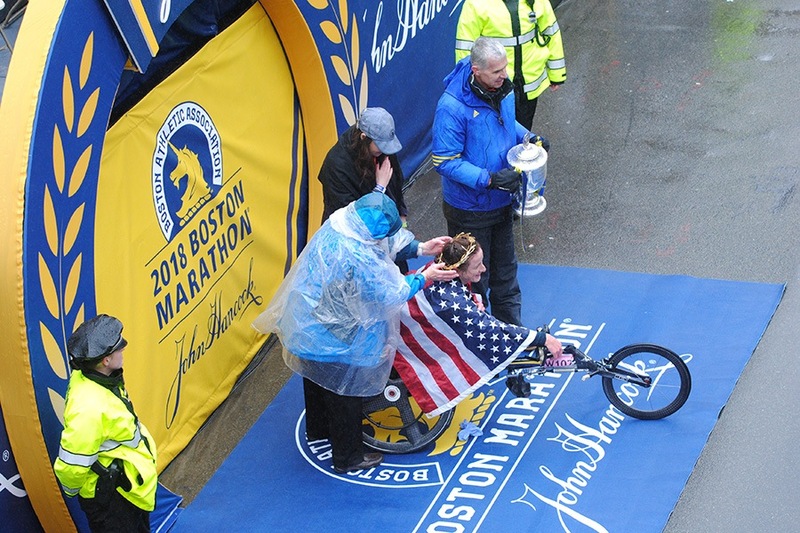 You can read more about how the day unfolded in our live blog. 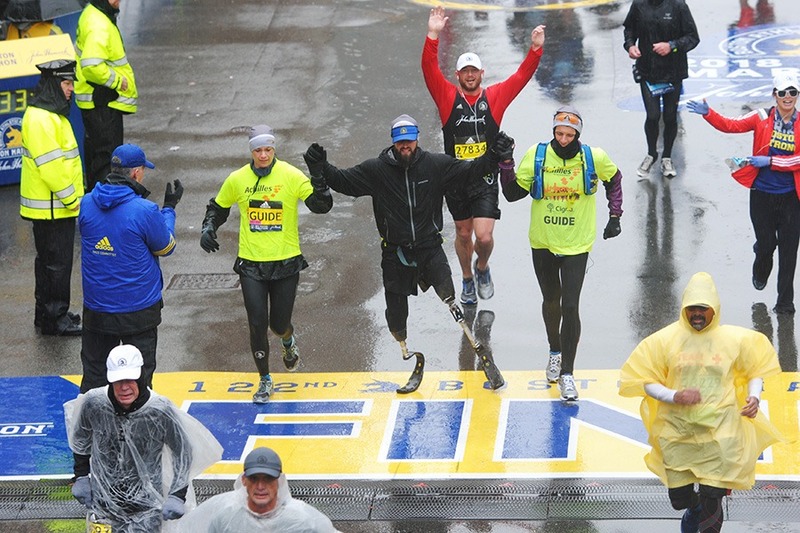 Check out scenes from the finish line of the 2018 Boston Marathon below. 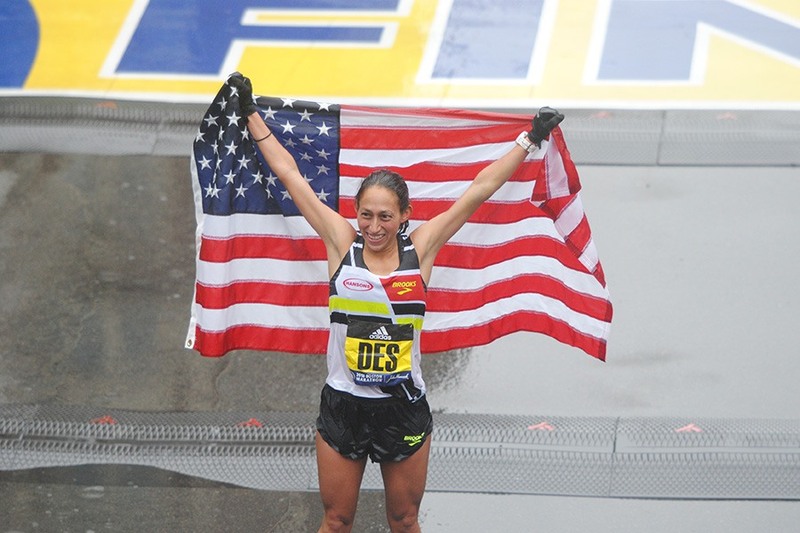 Desiree Linden is the first American woman to win the marathon since 1985. 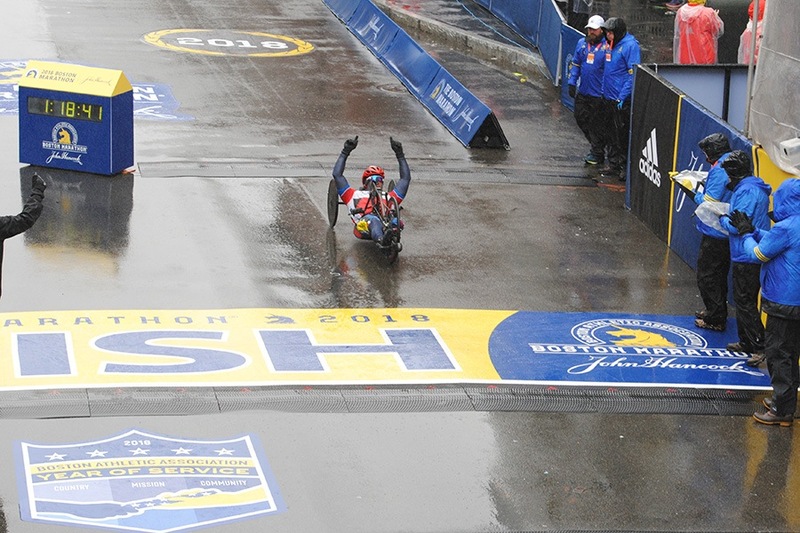 Tom Davis won the men’s handcycles race once again, with a time 20 minutes slower than last year. 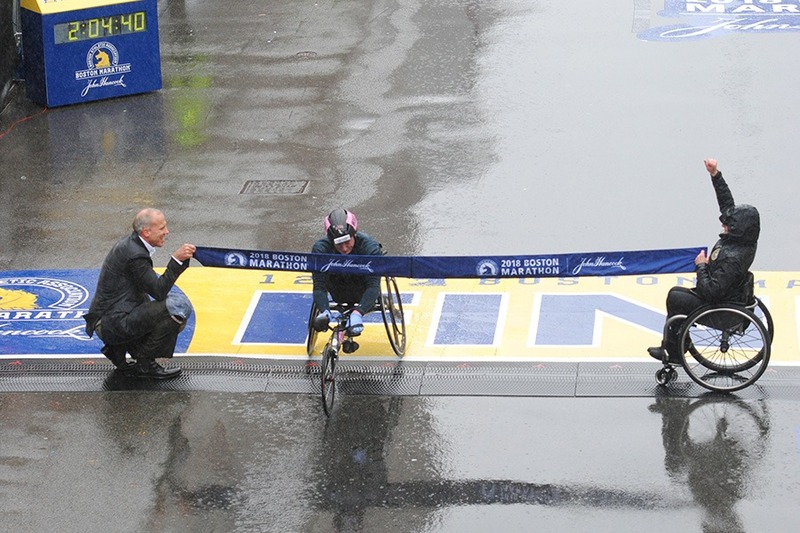 Tatyana McFadden clocked in at 2:04:09, the slowest win in 30 years. 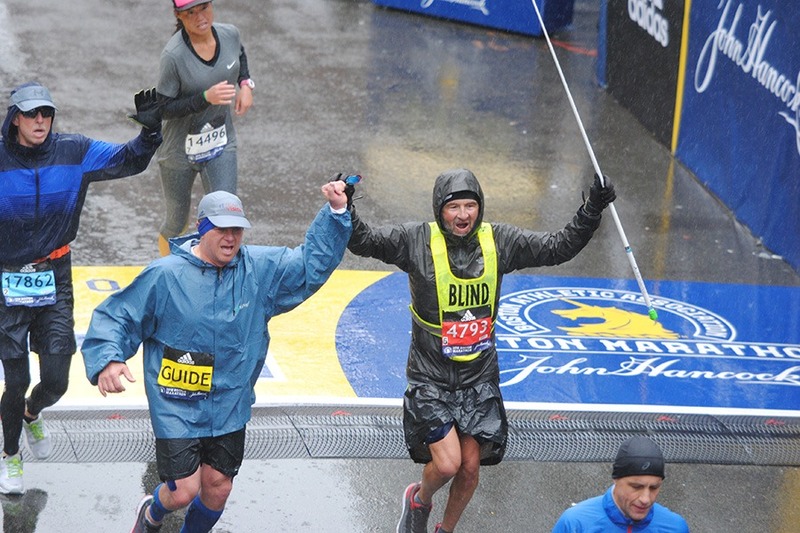 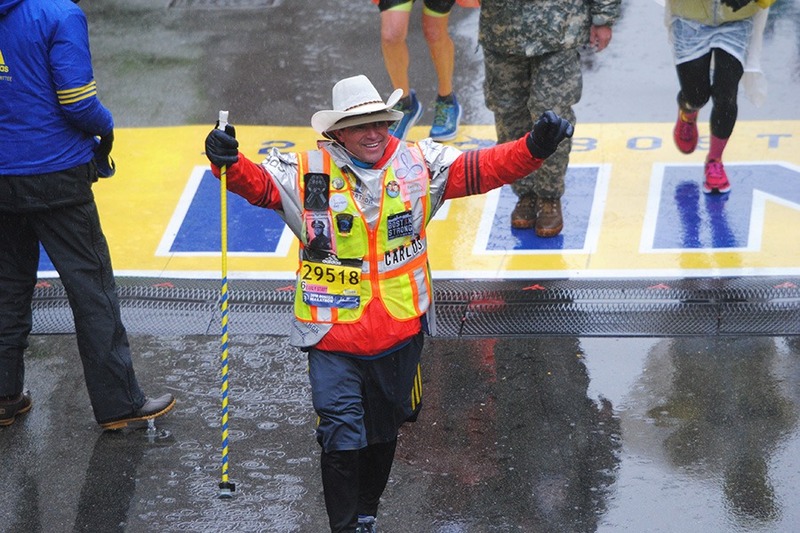 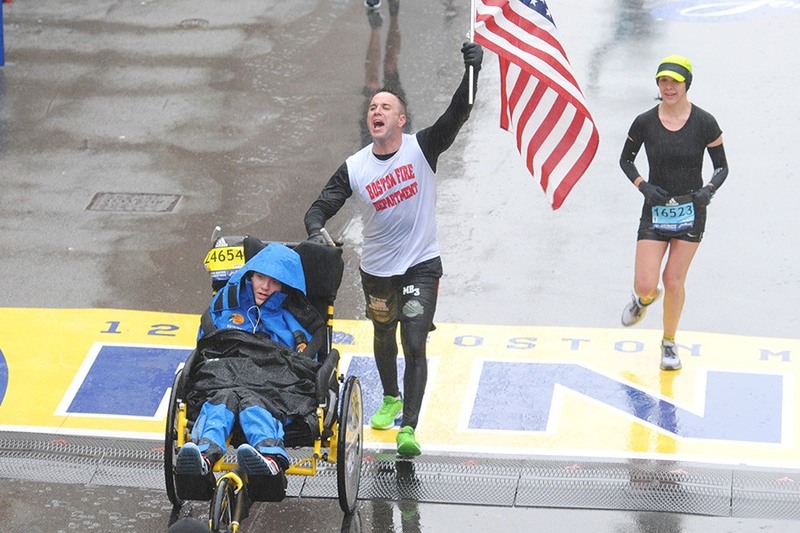 Carlos Arredondo crossed the finish line wearing his signature cowboy hat.